IF YOU'RE A NURSE with an associate's degree in nursing (ADN) or a diploma, you may be thinking about earning a bachelor's of science in nursing (BSN) degree. Perhaps you got fired up by reading part 1 of this article in March 2014, which outlined why a BSN is important and how to overcome the common barriers to earning this degree. If you're ready to take the next step, this article will help prepare you to take a real-world approach to selecting a nursing degree completion program in an organized, efficient way. You can use the information provided here to shop for a program that meets your criteria for becoming the best nurse you can be. First, you need to decide what kind of program is best for you and your life situation. Do you want a totally online program, a hybrid option where some classes are onsite and others are online, or a totally on-campus experience? You'll also need to decide if you want to take one class at a time or if you want to attend school full-time. Weigh the pros and cons and make these decisions before researching programs extensively. When completing a patient's health history, you can gather some information from the patient, some from the patient's medical records, and perhaps some from the family. Take a similar approach here to make sure you have all the information you need to make your decision. To assess an RN-to-BSN program, be sure to check out brochures, websites, and marketing materials. Ask other nurses who are back in school about their experiences. Faculty, directors, and advisors at the school should be willing to talk to you about the program in depth. They should be available to you when it works for your schedule and willing to make appointments at your worksite, by phone, or via the Internet. If a director isn't willing to give you time and direction, that's a clue that the program might not be student-centered. RN-to-BSN programs fall under the same program identifiers with state-regulating bodies as prelicensure programs. A program should be in good standing with the state boards of nursing and CCNE or ACEN. You should verify that the program is in good standing with your state by visiting your state board website. You should also make sure the program is CCNE-accredited by visiting http://ccne.desertrose.net/reports/accprog.asp, or ACEN-accredited by visiting http://www.acenursing.net/accreditedprograms/directorySearch.htm. Some RN-to-BSN programs opt to use marketing or venture capital firms to manage marketing and admissions and fund course development. To understand how a program is organized, find out to whom you're speaking and if your questions are being filtered through a third party. Third-party representatives receive commissions or bonuses for recruitment. Ask to speak with program academic advisors and spokespersons employed and directly reimbursed by the institution awarding the degree because they can advise you without fiduciary bias. As a prospective student, you should also evaluate the quality of the faculty and curriculum when selecting a program. Faculty members who are certified in nursing education or a specific practice area have met national standards for this recognition. Clinical experiences should reflect student learning outcomes and build on your current knowledge and practice skills. They shouldn't be merely a hoop you jump through to complete a course. The Essentials of Baccalaureate Education for Professional Nursing Practice delineates the expected educational outcomes for the BSN-prepared nurse. This source indicates the baccalaureate graduate nurse should be prepared to practice with individuals, families, groups, communities, and populations across the lifespan and across healthcare settings, using the latest technology to apply best practices.5 Collaborating with intraprofessional teams to improve patient health outcomes is one example of an outcome you should expect from a credible program. The mission of the school of nursing, the philosophy of the faculty, and the RN-to-BSN curriculum should reflect these essentials. Next consider these practical factors as you evaluate RN-to-BSN programs. * Technology and instruction. Nursing education programs rely heavily on technology, and RN-to-BSN programs are no exception. Most if not all universities expect students to be computer literate when they're admitted. Self-assessment tools and learning tutorials can increase students' confidence and comfort level. Universities have specific computer and browser requirements for students engaged in distance (online) learning, which are essential to know if you're considering a program with online courses. Laptop computers, smart phones, and tablets may be needed for educational purposes. In some RN-to-BSN curricula, students are required to take courses in a set sequence. This can be helpful if you require structure and predictability to navigate the educational experience. However, this format may be a barrier if your classes get out of sequence due to conflicts with other life events. Some curricula are much more flexible, allowing students to take courses in any sequence after they complete the initial introductory course. This may be more manageable for full-time working RNs but frustrating for students who crave structure and routine. RN-to-BSN programs may be face-to-face, online, or hybrid. Many programs continue to be strictly face-to-face; students go to class each week and have direct contact with fellow students and faculty. This approach often increases the comfort level of RNs who've been out of school for a long time. However, it places more constraints on RNs' time and requires RN employers to support flexible scheduling. 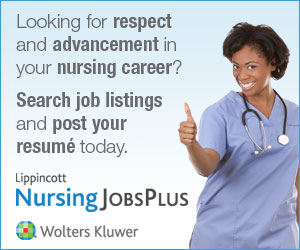 Many RN-to-BSN programs are strictly online. This format allows RNs to complete course work as it fits their personal schedule-even at 0300 while wearing pajamas and slippers! A significant drawback for some RNs is the lack of personal contact with fellow students and faculty. In addition, RNs must be highly self-directed and motivated to complete their course requirements. Current evidence suggests about 10 hours per week of screen time is common.6 Other advantages to online learning are reduced costs for commuting to classes (gas, parking); not needing childcare or kenneling; and establishing new relationships from across the country, which expands your networking capabilities. A relatively new format is the hybrid curriculum, a combination of face-to-face and online education. In this approach, students and faculty physically meet at the beginning, end, and a few selected times during the course, but complete most course learning activities online. This approach may offer students the best of both worlds. * Finances. Expenses for completing BSN course work go beyond tuition and fees. Additional expenses may include university application and graduation fees, books and other course materials, nursing liability insurance, immunizations and other health requirements, laptop computers and other devices, and state and FBI background checks needed for clinical work. * Reciprocity. Practice reciprocity and reciprocity for tuition are different: Don't confuse these concepts. Practice reciprocity refers to practice privileges across state lines to serve the public's needs for its workforce. So if you live or work in areas that cross state boundaries, verify with the states involved that you have the authority to practice in the state where the program is established. A student-centered program will help you with verification. Tuition reciprocity refers to out-of-state fees being waived if your primary residence is outside the state for the school you wish to attend. Tuition can increase across state lines unless your state has reciprocal agreements for in-state tuition fees. The bursar's office of the school you select can validate fees. Clinical work can also be used to advance quality initiatives in clinical arenas to advance both your own career and your institution's outcomes. Nurses should determine if project requirements align with clinical ladders and promotion criteria. Strong academic-clinical partnerships take the time to configure how academic goals can improve the organization. * Transfer credits. Many state university systems have established articulation agreements to facilitate ease of transfer of course credits earned in ADN programs to 4-year institutions. Meet with the nursing advisor to verify courses and credits for which you'll receive credit. Meetings can take place in person or via e-mail, phone, or web conferencing, but you should receive written notification of requirements and an individualized program of study so you have a record of any and all classes you must take to earn the BSN. RN-to-BSN programs are required to provide a seamless transition from one degree to the next. The expectation is that the curriculum advances from the ADN/diploma toward a graduate degree. BSN education should be a bridge between what you learned in your RN program to your being prepared to enter a master's program. * Residency. State residency refers to the primary state in which you reside. Program residency refers to completion of a specific number of credits at the institution awarding the degree. Program residency requirements shouldn't exceed the number of credits you need to earn the degree. * Student satisfaction and advancement for postgraduate leadership. Graduates of an RN-to-BSN program can be important informal sources of information. If you don't know any program graduates, ask the director for names of recent graduates you can contact. RNs should consider both the short-term and long-term outcomes of obtaining the BSN. In the short term, employers will be satisfied with increased numbers of BSN-prepared nurses and RNs can promote their own job security, have a sense of accomplishment from completing the degree, and benefit from creating a network of colleagues. Long-term outcomes can include upward movement within a healthcare system, greater opportunities in the nursing profession, and the opportunity to pursue graduate nursing education and move into an advanced practice role. Planning ahead can give you the peace of mind that comes from knowing you've made the right decision for yourself, your family, your profession, and your patients. Congratulations on starting the process!